Manchester United have reportedly joined Chelsea in the race to sign Youri Tielemans from Anderlecht in the summer transfer window. Italian outlet Calciomercato have reported that Manchester United have registered an interest in signing Belgian wonderkid Youri Tielemans. The Red Devils have joined Chelsea in the race to sign the highly-rated Anderlecht midfielder in the summer. Tielemans has established himself as one of the most promising young players in Europe ever since bursting onto the scene in the Anderlecht first-team setup at the tender age of 16. Nearly fours years have passed since then, and he has become a key figure for the Belgian club. Tielemans has already played 176 times for Anderlecht despite still being in his teens, and 2016/17 has been the most frutiful season for him in his young career. The 19-year-old has 44 appearances across all competitions for the club this season, with an impressive return of 18 goals and 11 assists. On top of that, Tielemans has also become a well established member of the Belgian national side in the last two years. As a result, it is not surprising that some of the biggest clubs across Europe have shown an interest in signing him in the summer. 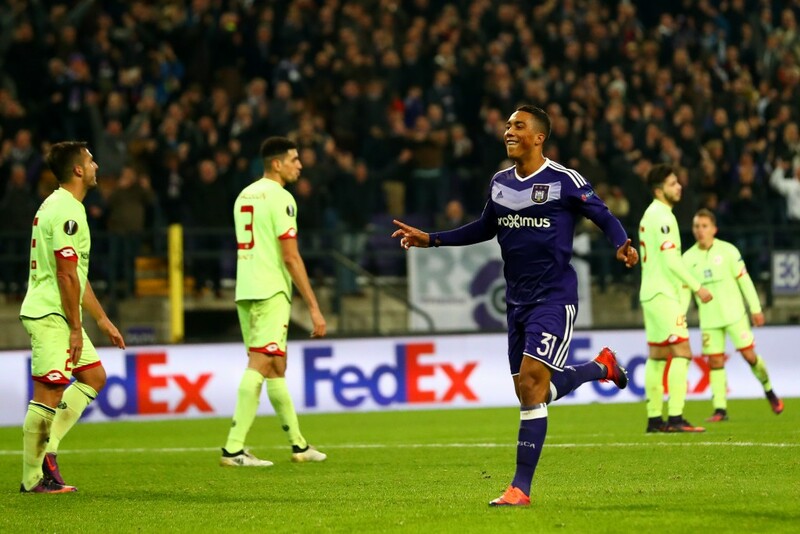 The likes of Arsenal, Tottenham, Juventus and AS Roma have all been linked with Tielemans in recent months, but Chelsea have shown the most concrete of interests in the 19-year-old, with reports claiming that the Blues have approached Anderlecht over a possible summer deal. Chelsea manager currently has just three recognised options in N’Golo Kante, Nemanja Matic and Cesc Fabregas to choose from for his midfield. 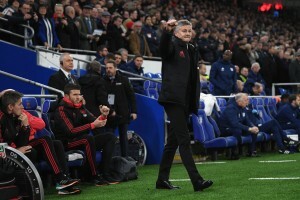 But, as his side look set to compete on four fronts next season, there is a need to beef up his squad in the summer in order to sustain a challenge for the Champions League. In addition to that, Fabregas is also being linked with a move away from Stamford Bridge, which further increases the need to bring in reinforcements in the summer transfer window. But, Chelsea are now set to have Manchester United for company in pursuit of Tielemans, with Jose Mourinho putting the teenager on his summer wishlist. Manchester United faced Anderlecht on Thursday in the Europa League, and the Manchester United boss is believed to have been left impressed by Tielemans’ performance on the night. Indeed, Mourinho, too, has a need to add quality options in the centre of the park following the departures of Morgan Schneiderlin and Bastian Schweinsteiger. With Michael Carrick’s glittering career also running on its last legs, the Manchester United manager is left with just Paul Pogba, Ander Herrera and Marouane Fellaini. Tielemans, with the superb passing ability that he possesses, can become a long-term successor to Carrick, and with a deadly eye for goal can also bring an added quality to the plate – something that will stand Manchester United in good stead. On top of all that, Tielemans still has his entire career in front of him, which makes him a long-term option for any club that signs him. It now remains to be seen how things develop in the coming months, but with Tielemans attracting attention like he is, he could be one player on the move in the summer.